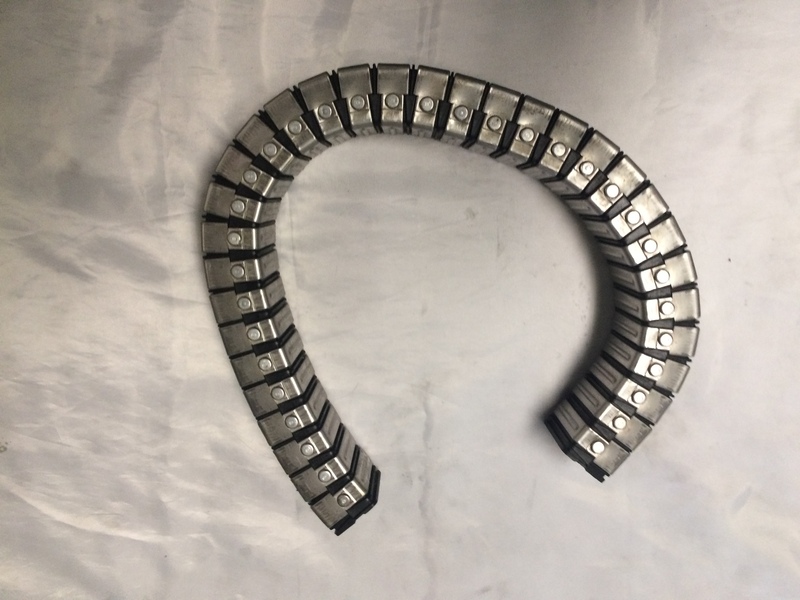 Enclosed conduit cable and hose carrier for machine tools, robots and material handling equipment. 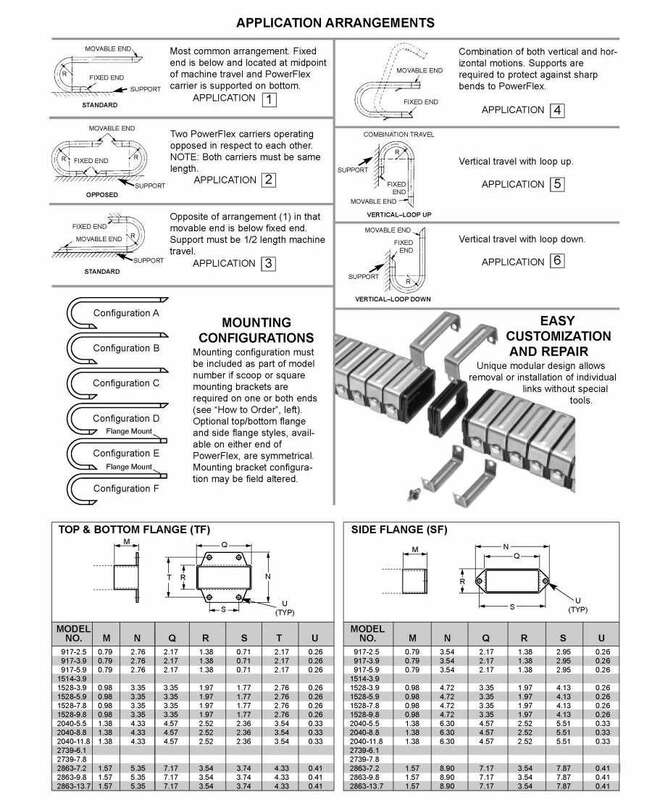 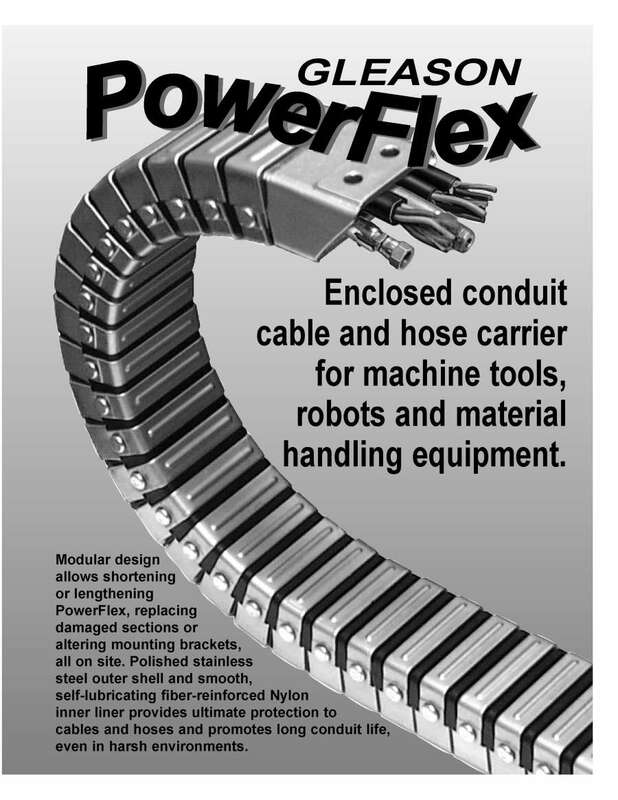 Modular design allows shortening or lengthening PowerFlex. 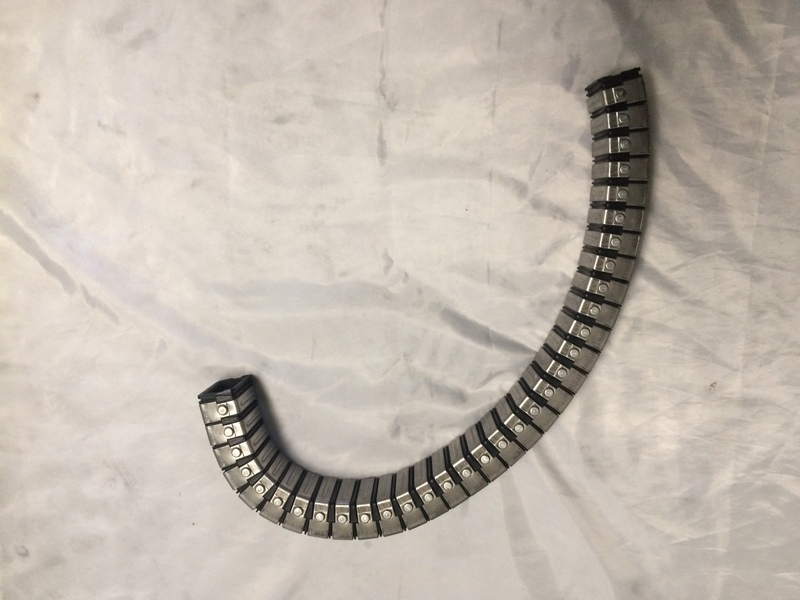 Polished stainless steel outer shell and smooth, self-lubricating fiber-reinforced Nylon inner liner provides ultimate protection to cables and hoses and promotes long conduit life, even in harsh environments. 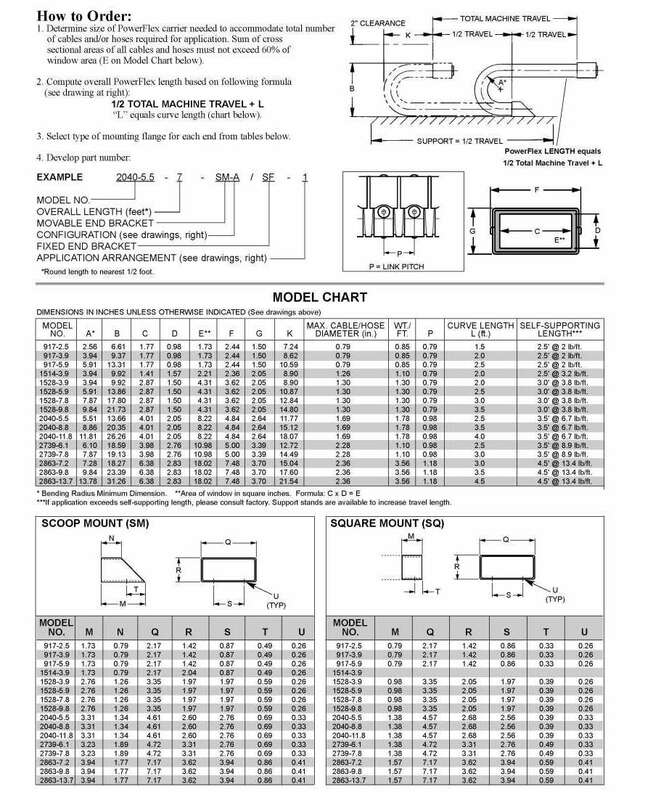 Sizes to handle cable to 2.36" diameter.